Sydney Central Inn i Sydney, Australien: Reservér nu! All cancellations or changes to bookings must be made at least 72 hours before the booking date. Insufficient notice will result in a charge equivalent to one night's accommodation. On check-in, a key deposit of AUD20.00 must be paid. This is refundable on check-in when you return your key. 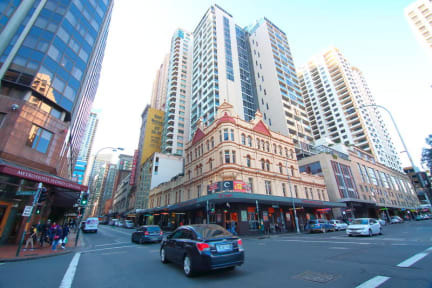 Sydney Central Inn is Sydney’s newest Affordable budget accommodation truly in the center of Sydney CBD. We are provides upmarket accommodation for budget travellers and backpackers. Sydney Central Inn is a class above regular backpacker hostels providing clean, comfortable accommodation without price of a hotel. 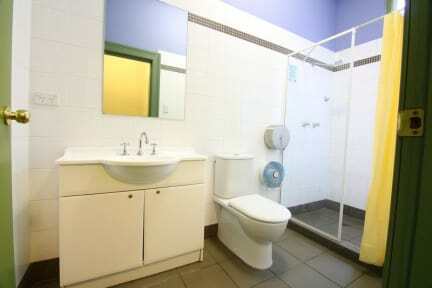 Sydney Central Inn is offer variety of rooms to suit your needs. Our rooms are furnished with a TV and fridge while our clean bathrooms are shared. There are laundry facilities, common kitchen and common room to make your stay convenient and enjoyable. Tour and travel booking services can be book at Sydney Central Inn. Security is our priority, 24 hours camera surveillance is there for your safety and room can only be access by personal security key cards. Please note: We cannot guarantee all guests will be booked into the same room if a 4 bed dorm is booked. If you wish to stay together please book a private room. Also we are offering free WiFi!!! If this is not enough! Pop downstairs and enjoy relax times at the bar. There are promotions on offer every night of the week and cheap meals or drinks. Don’t waste your times. Come stay at Sydney Central Inn.